“You have a strong arm; Your hand is mighty, Your right hand is exalted” ~ Psalm 89:13. As I look at verses describing God’s arms and hands, I note that the right hand of God makes His strength and stability available to us. We are strong and stable at the right side of God. “My soul clings to You; Your right hand upholds me” ~ Psalm 63:8 See Psalm 37:24. God orders His creation. There is order found to the right and to the left side of God. He determines at any given moment the side on which we stand according to His purposed plan, our need, and His authority over our lives. He is the creator God who is Alpha and Omega, beginning and the end, the first and the last. All provision is in His hand and He teaches us to prosper at His right side. “Let Your hand be upon the man of Your right hand, Upon the son of man whom You made strong for Yourself” ~ Psalm 80:17. In my dream shared in the introduction to this series, revealing the place of God’s positioning for me to possess, He has me at His right hand side, facing Him, having a throne of authority and responsibility that is just my size. All my concerns are before Him, all the people and things I seem impotent to influence in life. His positioning my throne to face His, Jesus makes it clear that there are things I must trust Him to deal with, trusting His “I’ve got this”. As I trust Him with all the things that concern me and rob of strength, keeping my focus on Him as my throne faces His, He empowers me to know the things for which I do have authority to influence, strengthening my stability and stance as partner with Him in His Royal Court. At His right hand, we learn to know our part and the power and authority He grants for doing our part in His will and way. “Surely My hand founded the earth, And My right hand spread out the heavens; When I call to them, they stand together” ~ Isaiah 48:12-22. God is the Perfect Coordinator of all things. He placed the planets in their orbit. He gave the birds their distinctive song. He knows the plans He has for us; plans for good and not for evil, to give us hope and future (Jeremiah 29:9-14). Trusting God’s direction equips us to stand with those who stand firm in Him, accomplishing His purpose and plan in our day. Trusting Him and following His instruction for life enables us to live eternity now as we prepare to enter His eternal Kingdom for all time. Trusting God stabilizes us while we walk in this world as people of His Kingdom, representing Him and His interests for eternity. “…behold, the kingdom of God is in your midst. …the kingdom of God is not eating and drinking, but righteousness and peace and joy in the Holy Spirit” ~ Luke 17:21; Romans 14:17. “Kings’ daughters are among Your noble ladies; At Your right hand stands the queen in gold from Ophir” ~ Psalm 45:9. Before looking at what all is going on when God positions us at His right or at His left, we first need to realize that we who are His through Christ are the Bride of Christ, the queen at His side. 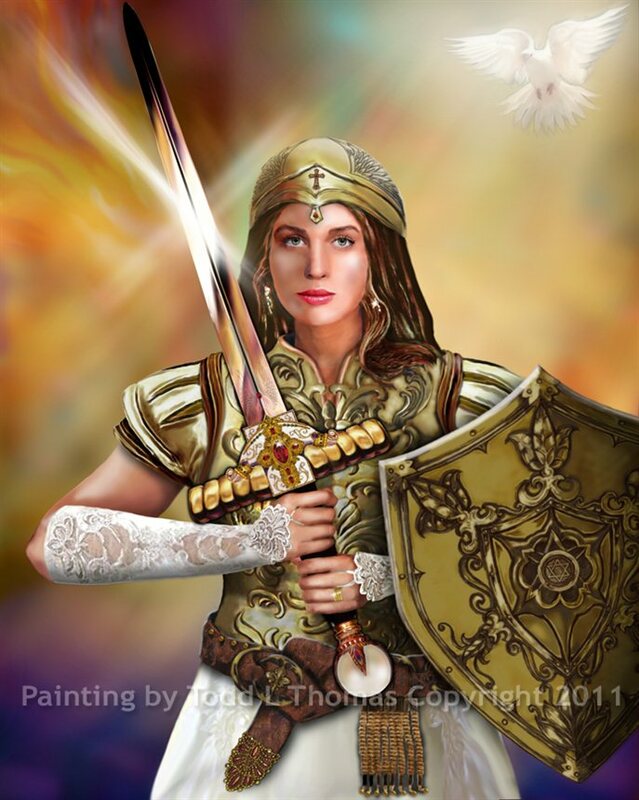 Endued with power and authority as the queen Bride of Christ, we work Kingdom purpose at His side. This study is to help us understand what it means for us to stand beside our King-Ishi (Husband). “Kings’ daughters are among Your noble ladies; at Your right hand stands the queen in gold from Ophir. Listen, O daughter, give attention and incline your ear: forget your people and your father’s house; then the King will desire your beauty. Because He is your Lord, bow down to Him. …” ~ Psalm 45:9-13. First, we stand beside the King in gold from Ophir. We are not an ornament on His arm, with no intrinsic worth besides that of belonging to Him. We are the apple of His eye, valued as worth the price of relationship. He cherishes us and He nourishes us, not only meeting us at our need, but enriching our lives, empowering us to become all He designed us to be. He not only stands us beside Him as a show of ownership, belonging to Him as His wife, but He nurtures the good He places within us, equipping us to use the gifts and abilities He supplies with the authority we hold as ours to possess at His side. Nurtured and empowered as we listen to Him; inclining our ear to receive instruction from His teachings and authority from His commands and promises, we live as His companion and helpmeet for Kingdom building. As queen at the side of Christ, we work with Him to accomplish His Kingdom purpose in life here and now. We accomplish this best as we learn to not only listen, but to bow down to Him alone. We honor our parents as commanded by God, but there comes a time when the bride leaves the home of her father to join her husband in making a new home. We must leave our child-like submission to our parents and the authority they have, the opinions of other companions and the pull they have, to surrender ourselves fully to our King-Ishi. Our beliefs and practices no longer come from desire to please others, but we grow to develop our own beliefs and the practice of His ways based on personal relationship and surrender to Him. God can use other relationships to instruct and teach and help us become His bride with strength, but we bow to the King at work through them, not allowing other relationships to have greater authority and power over us than He holds. No relationship should lead us away from bowing to His right of authority as King-Ishi. As we bow to Him, receiving His teachings and instruction, we join in agreement with Him to do our part as His companion in building the new home He desires to have with us. “…The daughter of Tyre will come with a gift; the rich among the people will seek your favor. The King’s daughter is all glorious within; her clothing is interwoven with gold” ~ Psalm 45:9-13. As we, the people of God, bow down and surrender to the Lordship of the King, recognizing Him as Husband, and receiving the authority He gives for us to stand at His side and help Him in His work, God gives us favor with others. The more we grow in likeness to His heart desire, the more others seek us out in their journey to become His bride, partners with Him in the building of the Kingdom in which to dwell. 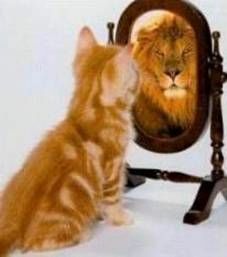 Jesus makes us all glorious within, able to bear His image as our outer adornment, representing Him and His interests in the world so that we become lights to draw others into the Kingdom with us. This understanding and surrender to Him as King is the first step in our journey to understand what it means to stand side by side with Him. We thrive at God’s side as we bow down to the King, working with Him as queen Bride, having His heart desire as our own, accomplishing His desires in the authority He gives. “I have told you these things, so that in Me you may have [perfect] peace and confidence. In the world you have tribulation and trials and distress and frustration; but be of good cheer [take courage; be confident, certain, undaunted]! For I have overcome the world. [I have deprived it of power to harm you and have conquered it for you. ]” ~ John 16:33, AMP. Yesterday we saw that the first “thing” Jesus spoke of that empowers His gift of perfect peace and confidence to work in our lives is our trust in the reality, personality, and work of God the Father and Jesus the Christ. Our Triune God is the same yesterday, today, and forever. He is faithful because He cannot deny Himself by failing to be who He is. We can have peace in knowing God and trusting His faithfulness. 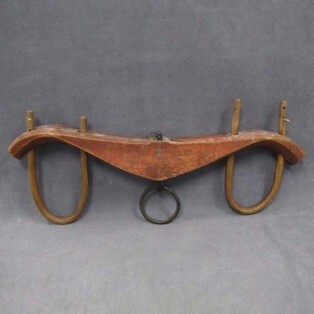 The second thing I see follows and is attached to the first. That key to peace is our Kingdom or Eternal Perspective. “Do not let your heart be troubled; believe in God, believe also in Me. In My Father’s house are many dwelling places; if it were not so, I would have told you; for I go to prepare a place for you. If I go and prepare a place for you, I will come again and receive you to Myself, that where I am, there you may be also” ~ John 14:1-3. This is not our home, People of the Living God. If we are His, He has a Kingdom in which we will dwell with Him in Eternity, and to which we already belong. The circumstances in which we find ourselves are training ground. Some of you will say, “Again with the continuum!”, but it is a truth worth repeating. We cannot truly know with appreciation love, hope, faith, truth, etc., until we have experienced hate, despair, doubt, lie, etc. The only way to do that is to dwell in places that contrast God, who is love, the source of hope, our object of faith, because He is truth and truthful, etc. Therefore, we are in the world for a purpose: to learn that we are not of the world. Only as we enter into and have this hope of the eternal purpose can we face today’s trouble with hope’s peace. In addition, Beloved, as I have told you before, now I tell you again: this eternity is not just something we look forward to entering when our life on earth is finished. Otherwise, why leave us to life’s difficulties? If there is no eternal purpose for leaving us in this life, why give opportunity for us to walk the continuum of peace vs. turmoil? God would just take us home where Perfect Peace resides. If we could fully know His Peace without understanding of its opposition, God would remove us from this place as soon as the “I do” was done. 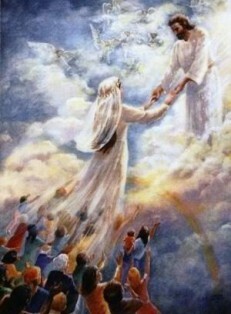 The eternity we look forward to truly begins for each of us the instant we say, “I do” to Jesus, the Bridegroom. In that breath, we become the Bride, members of the Royal Court of God’s Kingdom: day one of our journey to eternal destiny. As we go through life here, learning to discern the godly end of the continuums of life, we discover who we are in Christ. Taking on our role as Ambassador of the eternal Kingdom of God, being in the world but not of it, we live His Kingdom reality into the earth by living at the godly end of the continuums of life, being of His Kingdom while not in it. I hear of people, thrown in prison for their faith, who have peace in that season of hardship because they realize God has Kingdom business for them to do while there. 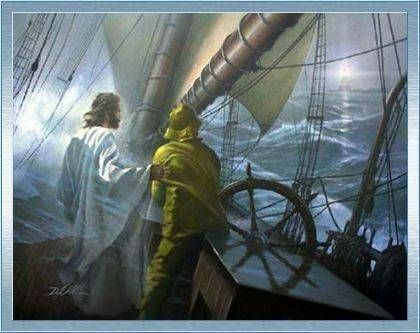 Trusting God, they weather that storm in the Eye of His presence. The eternal perspective of being of God’s Kingdom, part of His Royal Court, while being His ambassador in the place He sets them, helps them face their time in prison with a perspective that brings peace found in purpose. We may not all wind up in prison, but we all face the ungodly end of life’s continuums every day. Trouble comes to tempt us to despair, hate, unforgiveness, self-preservation, etc. Tucking self into one’s understanding of God and His Kingdom purpose, we find peace to persevere with faith and hope. That perseverance leads us to the godly responses that produce Kingdom fruit into the earth. Our fruitful lives then bear a testimony in the world that highlights the Kingdom of God. Others, seeing the product of His eternal purpose in us, receive the testimony of our lives in Christ and join us on the journey. This is the Kingdom perspective that produces peace from God that is unhindered by life’s trouble. Beloved, if you are in a hard place in life, realize that God allowed it for a Kingdom purpose. God never takes us to places where His grace cannot keep us, because He always takes us where His purpose has need of us as His Royal Ambassador. We are always either on training ground, and / or in fields, white for harvest. He is either working to grow us on some continuum meant to help us understand the godly, and / or He desires to use us to help others on their journey. Wherever you find yourself today: wherever tomorrow leads you, take hope and enter into His peace. We can be in any hardship and produce fruit in keeping with righteousness when we have that perfect peace empowered by Kingdom purpose. Wilderness times in life are difficult. The first step in traversing it is to realize where we are and draw near to God Who can lead us out to the cool of His garden place. I pray you discovered any wilderness places in your life, beloved, and that this first step is behind you. The days ahead, journeying with God to the end of the Wilderness Road, is full of glory that God will reveal as He leads you forward. Though it is a hard road to travel, the end result is worth the trouble. I am excited for you. Walking in the garden in the cool of the day. SOS1: “Awake, O north wind, And come, wind of the south; Make my garden breathe out fragrance, Let its spices be wafted abroad. May my beloved come into his garden and eat its choice fruits” (SOS 4:16). When time on earth began, God set a garden within it where His chosen ones thrived. In the cool of the day, He came into the garden for a leisurely walk with His beloveds. We can still have that walk with Him today. In Song of Solomon, several things stand out that instruct us concerning time in the garden. Here in chapter 4 we see that the wind of God’s Spirit comes into the garden and breathes out the fragrance of His presence and the scent of fruit bearing. He flows through the lives of those who know how to commune with Him in His garden, like the fragrance of the finest spices, ministering to us at the area of our need. From His garden, of which we are to Him, as He is to us, He enjoys its produce and bears it forth to nourish those around us. Beloved, the fruit born out of our lives because we know how to abide in the Secret Place of God and walk with Him in the cool of the garden pours in two directions. First God pours to us as nourishment and through us to feed those around us. Then we flow out of that fruit bearing to produce a fragrance that blesses the Lord, causing His heart to rejoice over us. Coming out of a wilderness experience is not the only garden God provides for us. God is an Oasis along the wilderness path. With Him at our side, we have frequent garden experiences, pauses on our wilderness journey where He feeds us and refreshes us so we may press onward and upward. Even out of our wilderness areas, His produce comes out of us to touch those around us and bring Him glory and gladness. SOS2: “Who is this coming up from the wilderness leaning on her beloved? Beneath the apple tree I awakened you; there your mother was in labor with you, there she was in labor and gave you birth. …” ~ SOS 8:5-7. Selah ~ Pause and calmly think on that. The wilderness is a place where we discover complete reliance on our Beloved. We leave the wilderness leaning on God who is our companion, bringing us safely to the garden. Beneath the tree of life, He awakens us. Hardship and struggle, like a mother, have birthed new life in us, giving us a ministry to use on His behalf. God never wastes the wilderness, but works in us to make us ready for the next phase of life as part of His Royal Priesthood. SOS3: “…Put me like a seal over your heart, like a seal on your arm. For love is as strong as death, Jealousy is as severe as Sheol; its flashes are flashes of fire, the very flame of the Lord. Many waters cannot quench love, nor will rivers overflow it; if a man were to give all the riches of his house for love, it would be utterly despised” ~ SOS 8:5-7. From wilderness’ starting point to garden’s quickening, the ultimate purpose is our unity and commitment to the Beloved and our coming to understand His for us. Walking with God as our first most vital love, we realize our need of Him and are fully committed to Him, sealed shut to any other would-be god. Having our Beloved’s scent upon us, bearing the fruit of His love, He marks us with the seal of His image, making it clear to all that we are His. Marked by the assurance of this love, we know that no other love will satisfy like His love, none else will fill the banks of our being to produce the flow of love that we have with Him. Any attempt of some other suitor trying to break the seal of our commitment to our beloved and lure us away we despise. We have danced with our beloved in the garden having come through the wilderness victorious, and no one can steal us away. SOS4: “‘We have a little sister, and she has no breasts; what shall we do for our sister on the day when she is spoken for? If she is a wall, we will build on her a battlement of silver; but if she is a door, we will barricade her with planks of cedar.’ I was a wall, and my breasts were like towers; then I became in his eyes as one who finds peace” ~ SOS 8:8-10. Breasts are instruments of nourishment. 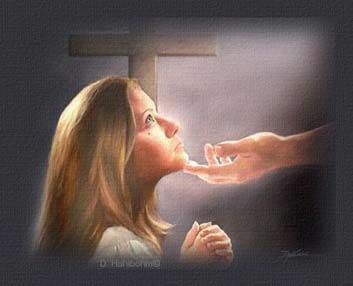 The little sister represents those still young in their faith who have yet to find the Secret Place of His presence, giving their full commitment to Him, seeking sustenance only from the garden of His provision and pleasure. As the young in the Lord find their relationship with God and keep it pure, not giving self to another god, they make of her a “dowry” or “battlement” of silver. Transcripts that translate the Greek word to “dowry” give rise to instruction that such a person has something to give to the Beloved: something to add to their union. Battlement speaks of security and trust. One whose life is a battlement has no other God. Kept safe behind the parapet of Love’s rampart, they live fully satisfied. Such love is greatest treasure, worth protecting at all cost. The young who are loose, like a swinging door, easily swayed by every passing whim, God encloses for their own protection. God often will hedge us in until we mature in our relationship with Him. Once mature, we enter fully into our union with God and rise up as a tower where love is secure, treasured and made to thrive, being lit up for all to see. There God’s peace is the produce for life. Safe in the arms of our Beloved, fear and insecurity gives way to love made sure and pure. No matter what goes on around us, we always have our tower made bright with love’s unity, useful in drawing others attention, desiring to see what powers the Light within us. SOS5: “Solomon had a vineyard at Baal-hamon; He entrusted the vineyard to caretakers. Each one was to bring a thousand shekels of silver for its fruit. My very own vineyard is at my disposal; the thousand shekels are for you, Solomon, and two hundred are for those who take care of its fruit. …” SOS 8:11-14. As with the woman of our text, it is our choice how we use our garden and whether we keep it for Him alone. Solomon, in our analogy, represents God. God has a vineyard in the world: our lives. We are the caretakers of our area of His vineyard. He expects to receive the produce of the vineyard. We are each responsible for our vineyard: it is our choice whether we cooperate with God and glorify Him with our lives. We do so by bearing fruit that makes us breasts of nourishment: first to God, feeding His need for our love through relationship: giving praise, worship, our attention and commitment to Him. Second, to others who, like babes in arms, are in our sphere of influence. Together we help and encourage one another to find our Secret Place with Him and to come to His garden where fruit is born to His glory. Note that God’s due from our vineyard is five times that we are to give to others. The majority of our attention, focus, and energy must go into our relationship with Father. He is our life, abundant and full. He is our joy and delight, bringing strength to our existence. He is with us and for us 24/7. We must be with and for Him in kind. Then we will have what we need to live fully with surplus to give to others in helping them at the point of their need. SOS6: “… O you who sit in the gardens, My companions are listening for your voice—Let me hear it! Hurry, my beloved, And be like a gazelle or a young stag On the mountains of spices” ~ SOS 8:11-14. Beloved, Father longs for us and seeks after us, desiring us to be His beloved in a one on one, personal and intimate relationship that cannot be broken. 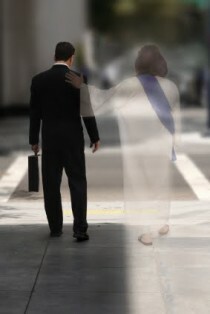 Are you watching for Him, listening to hear His voice; calling out “Come quickly, my beloved”? If we will faithfully seek after Him, He will come to us in the fullness of His glory. With the fragrance of His essence permeating us, He readies us for life and ministry as part of His Royal Priesthood, making us productive of the fruit of His garden. “You are A CHOSEN RACE, A ROYAL PRIESTHOOD, A HOLY NATION, A PEOPLE FOR God’s OWN POSSESSION, so that you may proclaim the excellencies of Him who has called you out of darkness into His marvelous light; for you once were not a people, but now you are the people of GOD; you had not received mercy, but now you have received mercy” ~ 1 Peter 2:9-10. As people of God in Christ Jesus, we are each a part of His Royal Priesthood, called and equipped to carry on the work of Jesus in the earth as representing Him and His interests. This means that we too must be busy about the Father’s business just as He did in setting the example for us (Luke 2:49). We are ambassadors of Christ, called, equipped, empowered and endued with authority to take care of Kingdom business in the earth. Appointed on behalf of men in things pertaining to God. We are here in this life for God and others: intended by God to help others to know and live for God, bringing glory to God by setting an example that honors Him as God of our lives. That is our call and equipping. We are gifted by God’s Spirit for the purpose of serving God as we meet the needs of others around us, and we are empowered to do so as represents God. Thus it is vital that we take every opportunity to study so we may know and understand both our spiritual gifts and how they function in the power of His Spirit. Also we need to understand the fruit of the Spirit, surrendering to His work within, enlivening the image of God in us. It is the gifts of God placed within us and the experiences He uses to train us that help us to come into our appointment from God. Since Jesus paid the full price for sin, delivering us from sins death, we no longer make animal sacrifice. In Christ, it is no longer necessary. And we cannot take the place of Jesus on the cross. 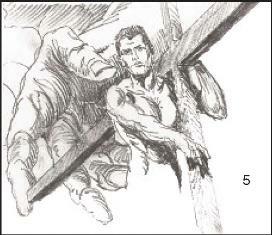 There is a popular song that asks if we will take His place on the cross. My response is always “no”. Though I would love to spare Him paying for my shame, I could only cover my own guilt and sin offering by paying the price I deserve to pay. I am not pure enough to pay for the sin of all others, as He did. So though I would spare Him my shame if I could, my trying to take His place would condemn others to have to do the same for themselves. I am very grateful that God spared me that horrid end by giving His perfect Son on my behalf. And I care enough for others to know that I cannot rob them the gift purchased in Christ. Only Jesus will do for the way of saving grace. So how is it that I fulfill the role of sacrifice for others, so also for self? We do offer both gifts and sacrifices for sins when we use the gifts and abilities God placed in us to serve Him and others so that they may know Him. We offer up gifts and sacrifices anytime we say as Jesus did, “Not my will but Thy will be done.” Laying down my life when it is inconvenient, so that I may minister to the need of another in Jesus name, makes sacrifice for their salvation: that they may know Him (Luke 9:23; John 15:12-14). Putting the interests of others before my own, especially when it will lead to increased knowledge of God and His ways, is sacrifice that can save others from sin ~ separation from God (Philippians 2:1-18). When we forego what we want in order to minister to the need of another for Christ’s sake, and in that sacrifice we reveal Father, Son and Holy Spirit to them, we fulfill this role of our priesthood. God fills us up and spills us out so that we and those around us may know Him. We are His lights, set on a course to make Him known so that others may enter in to this provision of God through Jesus. Why do bad things happen to God’s people? For one thing, we live in a world troubled by evil. For another, in cleaning up, God begins with His own house. God never promised to spare us the touch of evil. In fact, Jesus warns us that we will have trouble in this life, and He says that the only way to avoid it is to leave this world (John 16:33; 17:11-19). Trouble, difficulty, hardship, struggle, temptation, and end of life issues are ours to go through and cope with as God empowers and equips us. Just as with Jesus, experience allows us right of passage to minister to the need of others. Doing so with God as our source of strength, supply, and hope, helps us to know Him. Knowledge of Him encourages our obedience to Him. That experience equips us to make Him known. Thus, like Jesus, we learn what true obedience is through the things we suffer, and that experience is used by Him to influence the lives of those around us (Hebrews 5:8). It is personal understanding of God’s deliverance in our experience of evil in our fleshly estate that gives us compassion with understanding for the struggle seen in those to whom we minister. As we who are weak and flawed experience God at work in and through us as a result of our relationship to Him through Christ, the difficulties He brings us through makes us uniquely qualified to help others in similar situations. People want to know how we know that there is a God. It is through our experience of Him that we know Him, and we experience Him as He empowers and equips us to deal with situations of this life. The troubled waters of life are not without purpose. They are used by Him to give us a hope in our final outcome, training in righteousness, and opportunity for ministry. God calls us to the things we are to do in accomplishing the work He planned for us (Ephesians 2:10). Likewise, He equips His servants for all He calls us to do. When God calls, we don’t have to fret the “how” and “with what”. God supplies all we need for the things He calls us to in due season, making us able to stand as His servant (2 Corinthians 9:8; Romans 14:4). All we need is wise discernment for right priorities with His supply; and just a mustard seed of faith to trust His sure hand. Our degree of faith grows as we come to know Him intimately, empowering us to trust Him completely. Our number one role as part of the Royal Priesthood under High Priest Jesus is to be priests unto God, having intimate relationship with Him, knowing Him as Father-God by experience. Our growth in that relationship equips us to help others come into their own as we share our experience with them. In Chapter 4 of John, the Samaritan woman at the well is introduced to the true God by Jesus. Taking her priestly role found in that intimate experience of the Father through Christ, she told the people of Samaria about her experience. Her shining the light of God before them drew them out to meet this Jesus for themselves, after which they proclaim to the woman, “It is no longer because of what you said that we believe, for we have heard for ourselves and know that this One is indeed the Savior of the world” (vs. 42). Beloved, one of the most fulfilling roles we have as priest with Jesus is found in helping others grow in their personal relationship with Father. It is exciting to watch their growth. And it can be a shock to the system when they reach that point of no longer needing our input. But that is the goal of our ministry, and it is the greatest proof of our fulfilling our Priestly role. I thought this to be the conclusion of our study on this subject, but then I took a break that allowed me to meditate further on this topic. Thus, I will see you back here tomorrow with greater depth in Part 3-b of the Priestly Order. Jesus, in the Lord’s Prayer found in John 17, prayed, “The glory which You have given Me I have given to them, that they may be one, just as We are one; I in them and You in Me, that they may be perfected in unity, so that the world may know that You sent Me, and loved them, even as You have loved Me” (vs. 16-17). Reading that passage in my younger years, my mind and heart always went to thought of the church being made one together in Father and Son. But today, in light of my pondering, I see something more, something deeper. I see in this passage the prayer for each individual that makes up the “they” of the church. As we each, individually, come into this unity Jesus speaks of, we are perfected in that unity, and yes, together we come closer to each other for a more unified body of Christ, the Church. But it begins with our individual relationship with the Father. What led me to these thoughts? I am at a place in my walk with Father that amazes my heart when I experience its reality. I am coming more and more into the realization of the Eternal. Don’t get me wrong. I still struggle in areas of weakness of flesh. But more and more I am experiencing the perfecting power of His sure Presence. And as more and more I surrender to this unity with Him, this reality of His sure presence with and in me, trusting in Him, less and less is my struggle to conform to the transforming power of His Person with me. And as more and more I surrender to His Presence working in and through me, greater and greater is the increase of this peaceful, trust, increasing my assurance of His faithfulness to complete the work He began in me. He is faithful who will also do it. And more and more, as I realize His presence with and work in me, less and less is the distance to the eternal. My now is no longer limited by time and space. It is empowered by Him who is all in all, beyond comprehension, boundless His dimensions. More and more I trust the words He places within me to encourage another, and I speak them with greater assurance and boldness of faith, realizing He is in them. More and more I trust Him to lead my steps and orchestrate my day, and I follow more surely without question of actions resource, knowing He will bring the faithful work to produce His desired results in His perfect time. Less and less does fear of failure or fear of being rejected hinder my walk with, in, and through Him. 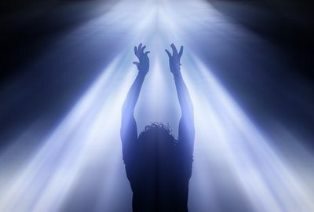 Surrendering more and more to meld into His reality, I find more and more of the real and true “me” He created me to be, and I am set free to know eternity with Him today. Jesus sat the example for us with professions like “Truly, truly, I say to you, the Son can do nothing of Himself, unless it is something He sees the Father doing; for whatever the Father does, these things the Son also does in like manner. For the Father loves the Son, and shows Him all things that He Himself is doing…” (John 5:19-20). Then in John 14:10: “The words that I say to you I do not speak on My own initiative, but the Father abiding in Me does His works.” We, too, can know and do the Father’s will, following His initiative, and speaking His words, as His eternal presence is made real to our earthly existence. As sons and daughters of the Father through the Christ, the same love is there for us, ready to show us all things He Himself is doing. “I and the Father are one,” Jesus said, then prayed in later text, “The glory which You have given Me I have given to them, that they may be one, just as We are one” (John 10:30; 17:22). He is talking about our here and now existence. Not just our heaven-bound, future reality. He is talking about our unity with each other as we come into our unity with Him, making us ONE as He is ONE. More and more I see people who are whole heartedly seeking the Father, coming more and more into the reality of this unity that removes all separation from the Eternal. Our “now” is just a momentary instance within our eternal. Our “now” is not separate from the Eternal, it is partner with it. And the produce of our now existence being made one with the Eternal will be seen in the earth and in our eternity with Him as we enter His presence more and more until end of days comes. How much easier it is to live godly in the now when the Eternal is real within us. When we realize our partnership with God through the Christ; when we understand our lives as being an extension of His own, Him at work in us to continue His work in the earth, bringing about all His good purpose and plan: with that realization the Eternal then comes to live within each individual of us and we see His hand move mountains as His power pours forth through our willing hands and feet, mouths and heart’s beat. Sound charismatic? Sound New Age? It’s not. It is the living God and Father responding to the heart-cry of His Son as prayed for us by Him before His final translation to Glory at the right hand of the Father. If we are saved through Christ now, we are saved for all eternity, and our eternal existence is partner with our now as we surrender to His initiative. I’m not perfect in this unity yet, but I am growing in it and it in me. God, living and well within us, freeing us from the mortal so that the immortal can thrive to the glory of His name. Many, seeing this eternal reality springing forth in the lives of others, question its varsity, just as they did in Jesus’ day and ministry, because they do not understand its truth and they fear what they fail to believe. Truth is found in the truth, beloved. Want to know the truth of what I am professing today? Dig into the Word of God, asking for His initiative to be made evident. It is truth that helps us to know truth. And it is truth that contrasts the false. * We can grow to believe the false and partner with it when we do not have understanding of the truth. * We can grow to fear the false and become judgmental of people who practice truth we don’t understand because of a distorted focus on the false and failure to grow in our own understanding of the truth. Want more of the eternal that God desires we possess? Chase after knowledge of the truth found only in Him, doing so without fear of believing Him and taking Him at His word. He contrasts the truth that is His from that twisted by the lie and used to deceive, helping us to find His truth perfected within us, drawing us more and more into the Eternal that influences and equips our righteousness and lifting us up to all He desires we be: the Eternal colliding with our now existence. That is power at work in God’s eternal beings, His sons and daughters, making us lights to lead many to freedom found only in the truth of Christ and unity with Him. “…He who has seen Me has seen the Father; how can you say, ‘Show us the Father’? Do you not believe that I am in the Father, and the Father is in Me? The words that I say to you I do not speak on My own initiative, but the Father abiding in Me does His works. Believe Me that I am in the Father and the Father is in Me; otherwise believe because of the works themselves. Truly, truly, I say to you, he who believes in Me, the works that I do, he will do also; and greater works than these he will do; because I go to the Father” ~ John 14:9-12. ONE: it is an eternal principle: Jesus in the Father who is in Him; them in me and me in them, and us in one another with Him, empowered and equipped by this Eternal for the greater works of God in our here and now existence. Great things come to ONE, Eternal with God, fulfilling His purpose in the earth. Today is the first day of our eternity, beloved. Come into the Father with me and let us be busy about the Father’s business, having His power for salvation, before time runs out for those in need of this Eternal connection. Today I am pondering our position in Christ as the people of God. As I do so, I recognize three pictures of our position that we find expressive of us in Scripture: Church, Body and Bride. As the Church, we know that a building does not a church make. We can have buildings used for the purpose of gathering, but it is not a church until the people come into it. And wherever the people gather, whether in a building designated for such, around a dinner table with family and friends, or on an isle at Walmart, we are the church, called and equipped by God to encourage the Body of Christ, equipping that Body to function as it is intended to by God. A church can only be a church where two or more are gathered in the name of Jesus. The body of Christ is the collective of the whole of all who are His, saved by grace through faith, and surrendered to Him for the work He has planned before hand for each of us to do. Collectively we work together in the world to accomplish God’s purpose and to fulfill His ministry as light to the world, drawing others into His saving grace. We are His hands, His feet, His mouth, His spleen. Each individual member of the body has its function, but we need one another to be all God desires and fulfill all He planned. We are the body. One malfunctioning part can hinder the whole, and without the help of all, one is hindered. Thus Body and Church are dependent upon each other or we are not Body and Church. Finally, we are the Bride of Christ. But as I ponder our relationship as Bride, I am struck by the individuality of that. Though we all make up His Bride together, our relationship with Him is dependent on our individual relationship with Him. I cannot make you a Bride and increase your intimacy with Him. It is up to you; and mine is mine alone. I don’t know if this makes sense, but what I am seeing is this: The work of the Church is to build up and equip the Body, all working together to accomplish this. The Body is made up of all who are Bride to Christ, each individually part of the whole, all needed for full and proper function of that called “Body of Christ”. 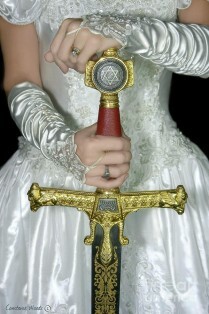 But each who are “Bride” must come into their own personal relationship with God in Christ. We can come together as the Church and help the individual grow in their relationship with the Bridegroom, but being Bride is a personal choice and a personal, completely individualized journey for each one called “Bride”. And only when each individual of the Bride comes into their own as Bride can they function fully in their role as part of His Body and His Church. Question: How real is God to you? How alive is His Word to your Spirit? How PRESENT is His Spirit of Power in your understanding and function? If we struggle in any of these areas, we have not yet come into our own as His Bride, able to fully and intimate relate with Him. As we come into this New Year of life, I pray the heart of Paul for us today. In marriage, the two become one flesh. That is what this heart of Paul says to me. I want to know Him more intimately and personally with every breath of every day. Through knowledge of Him comes my resurrection to life made new, full and abundant every day; life not bound by time, but empowered by the eternal. Such intimacy knows the heart of the Beloved, rejoicing when He rejoices, grieving when He grieves, and giving one’s all: one’s own life to see all His desires fulfilled, thus suffering in likeness to His Own. Such intimacy with the Beloved makes it possible for me to attain to the spiritual and moral resurrection that lifts me out from among the dead even while in the body. I transcend this mortal when vitally united with the Immortal. 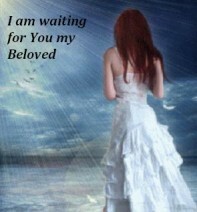 Are you there yet, Beloved? Are you acutely aware of your position as Bride and sold out to “one flesh” intimacy with Him? I have come a long way, baby. But I am not there yet, not fully. Come join me in 2015 as we seek to grow in our intimacy with Christ, to be one with Him individually so we can have power and provision needed to be the Church and fulfill our role as part with them in His Body. “Not that I have already obtained it or have already become perfect, but I press on so that I may lay hold of that for which also I was laid hold of by Christ Jesus. Brethren, I do not regard myself as having laid hold of it yet; but one thing I do: forgetting what lies behind and reaching forward to what lies ahead, I press on toward the goal for the prize of the upward call of God in Christ Jesus. Let us therefore, as many as are perfect, have this attitude; and if in anything you have a different attitude, God will reveal that also to you; however, let us keep living by that same standard to which we have attained” ~ Philippians 3:12-16. “…Do not love the world, nor the things in the world. If anyone loves the world, the love of the Father is not in him. For all that is in the world, the lust of the flesh and the lust of the eyes and the boastful pride of life, is not from the Father, but is from the world. The world is passing away, and also its lusts; but the one who does the will of God lives forever” ~ 1 John 2:12-17. “Do not love the world, nor the things in the world.” The longer I live, the more I understand how important it is to have His Kingdom as our daily reality. The only way we can overcome the lust of the flesh, the lust of the eyes, and the boastful pride of life that leads to loving this world and its ways is to come more and more fully into Kingdom Reality. This passage states that the love of this world—being in love with it so as to be led away by lust of the flesh and the eyes, and the boastful pride of life—reveals that we do not have the Love of the Father ABIDING in us. Abide means to live in so as to remain in. God desires to live and make His home within us, abiding there. Why? 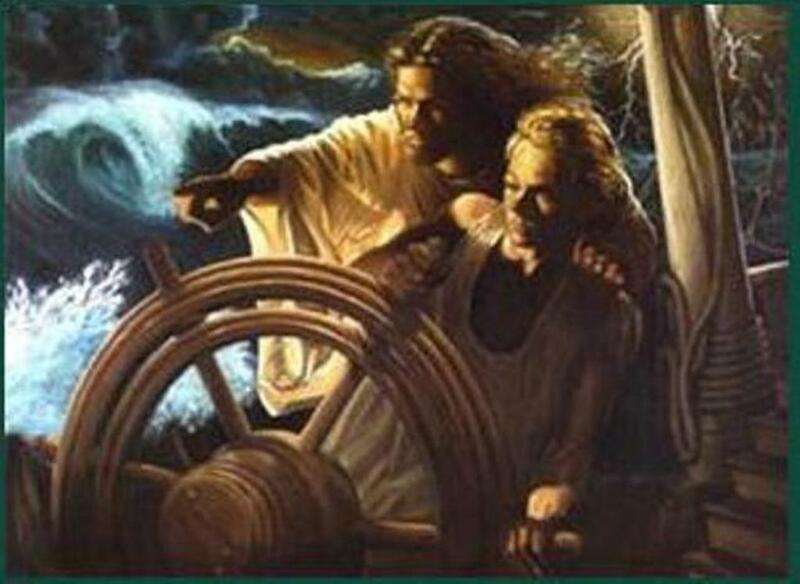 In my more recent experience I am finding that to be true, not just so He can control me, because He does not force His control on me; but so that I have an Anchor that stabilizes me in the waters of His Kingdom. His presence with me reminds me constantly of the oneness He desires with me. I am in Him; He is in me; we are one together and my true residence is with Him where He is even now and always. My eternity started the day I said “I do” to Jesus, becoming part of the Bride of Christ and made one with the Father as a Child of God. I am a member of God’s Kingdom. Realization of that unity and position with Him anchors my soul, protecting me from letting the desire for the things of this life pull me away from Him. The stronger that reality is in me, the less I feel of the pull of this world. I was watching Deadliest Catch this past week. One of the boats was docked when a major storm rolled in. As the captain in charge at that moment felt the waves tugging and pushing, he realized that if he did not reposition the boat, they would be pulled away and made a wreck by the waves. That is the way it is with us. As we come more and more into the reality of His Kingdom that is in us and with us, we can more readily recognize when there is a threat to our position so we can make needed adjustments and reestablish the lines that hold us in security. There is another thought we can take from that Deadliest Catch episode. The captain of the boat wanted to get hold of the owner of the boat to get clearance before doing what he knew needed done, because if one person involved failed to do their part, the move needed could be sabotaged and lead to the wreck they were trying to avoid. Because of the storm he was unable to reach the owner. So he had to make a decision based on what he knew from past experience and what he knew of the owner. 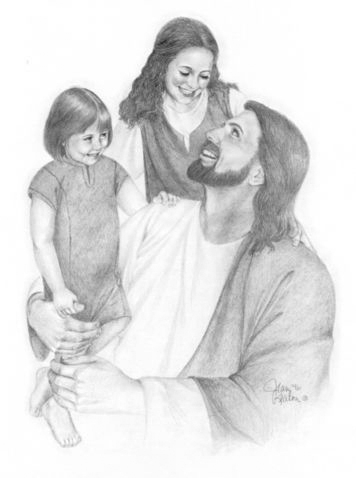 “I am writing to you, little children, because your sins have been forgiven you for His name’s sake. I am writing to you, fathers, because you know Him who has been from the beginning. I am writing to you, young men, because you have overcome the evil one. I have written to you, children, because you know the Father. I have written to you, fathers, because you know Him who has been from the beginning. I have written to you, young men, because you are strong, and the word of God abides in you, and you have overcome the evil one. …” ~ 1 John 2:12-17. Have experienced forgiveness – they know what repentance is and have understanding of God’s grace sufficient. These know because they know Him that His grace will always be sufficient. These know God – having been and still being in intimate relationship with Him. Though they may feel that they can’t hear Him at this moment, they know Him: how He thinks, what His will and purpose is, and the actions He takes. These have strength – this strength is God-powered, because their faith and hope are in Him. 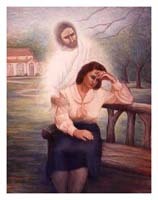 They trust His presence with them even when they may not “feel” it or know it experientially in that moment. These have the Word of God abiding within – though they may not feel they are hearing His voice right now, they have His Word to direct them and give them a future and a hope in their final outcome. Beloved, when storms hit, it can be difficult to hear God’s voice speaking. We must have experiential knowledge of Him and that comes as we live with Him as His Kingdom dwellers. I believe that God always hears us (Isaiah 59:1). But sometimes God is silent, testing to see if we have faith to trust Him enough to do what we know needs done. God brought this passage to mind for us today ~ Matthew 25:14-30 ~ The parable of the talents. You remember the story. The master goes on a journey and leaves his possessions with his servants, expecting them to be good stewards. He did not tell them what to do with the wealth entrusted to them. All indications are that he expected these to bring increase to him out of their knowledge of him and his ways and priorities. Apparently he trusted these servants, which tells me he had reason to believe that they had enough experience with him to be able to make wise and discerning decisions on his behalf. You know the story. Two of these acted out of faith and did what they felt the master would want done based on what they knew of him. The third held back in fear. What did he say? God brings increase to us as we prove to be faithful stewards, leaving us with greater resource to use on His behalf. That fact tells me there will be times when God will entrust us with His wealth. His wealth is not just the “talents”, Beloved. His wealth is the knowledge of Him – knowing His ways, His purposes, His thoughts, His words. Note beloved…WOW!!!!!!! Note the oneness found here. Just in the few words of this chapter shared above we see “the new” come down for the old has passed away. Note the new Jerusalem, beloved. It comes down into the new heaven and the new earth, and what is its appearance? It is “made ready as a bride adorned for her husband.” We are it, beloved and it is us. Then note the temple. It is not there as a separate structure because God in all His fullness and the Lamb, who is the veil, are the temple. The whole city is in the temple. And the Temple is in the whole city, becoming for it the Light that replaces the sun. And the Light enlightens every man (John 1:9). The Kingdom is in us, and we are the Kingdom, Beloved of God. We can know Him now experientially, having the Light of His glory within us; and what is the light? The light consists in all goodness and righteousness and truth (Ephesians 5:9). So as these storms come upon us in these days, Beloved, draw ever nearer to God, submit to God, resist the devil who will use the lust of the flesh, the lust of the eye and the boastful pride of life against us IF WE LET HIM, just as he always has done. But he must flee as we draw near to God through submission to Him, which puts us instantly into resistance against Satan and his minions. Choose God and live for and with and in Him day by day, breath by breath. When hearing Him is difficult, follow what you know of Him in faith, trusting Him, and do the good you know to do as a good steward of His Light. He never leaves nor forsakes us. He is with us and for us. By faith, believing, go forth and prosper, for you who are in Him and He in you are The Kingdom of God. King Jesus is trustworthy, being found faithful in following Father God, keeping Him as of first importance and His purposes as first priority. King Jesus is trustworthy, found faithful in keeping the letter and heart of the very Word of God; knowing it with full and comprehensive understanding; and making God’s Word His own mantra for life more abundant and full. And King Jesus is trustworthy, pursuing – eternally – Father’s Kingdom Purpose in all things: today’s final point in this series, revealing the trustworthiness of Christ and the reason He is King above all. Jesus Christ, the Messiah was faithful to pursue Kingdom purpose, proving Himself worthy to be the eternal King in the eternal Kingdom of God. “Do not think that I have come to do away with or undo the Law or the Prophets; I have come not to do away with or undo but to complete and fulfill them” ~ Matthew 5:17, AMP ~ We too are to fulfill and complete the Law in His name and power for the purpose of God to be fulfilled in our time. “I have come down from heaven not to do My own will and purpose but to do the will and purpose of Him Who sent Me” ~ John 6:38, AMP ~ We too are to find God’s purpose for our living and being in this time of history. “He said to them, ‘I have food to eat that you do not know about.’ So the disciples were saying to one another, ‘No one brought Him anything to eat, did he?’ Jesus said to them, ‘My food is to do the will of Him who sent Me and to accomplish His work’” ~ John 4:32-34 ~ We too must have desire for accomplishing God’s will in God’s way, seeing it as our greatest sustenance for life more abundant and full. Jesus knew why He was here and He often told us what the purpose of His life and ministry was. It always was directed and dictated by the will and purpose of God for Him, not for His own desire. He denied Himself daily to take up His cross and follow God to accomplish His purpose, denying Himself His own fleshly desires in order to fulfill His greatest desire, that of accomplishing God’s will in God’s way. And we know He had desires of flesh because we are told that He was a man, just as we are; and He was tempted in all things as we are. As Leader of all He calls us to have this same purpose and take action in His likeness by denying fleshly desire in order to accomplish godly purpose. But for this hour, I have come. Not My will, but Your will be done. and agony]? But it was for this very purpose that I have come to this hour [that I might undergo it]” ~ John 12:27, AMP. “And He said to them, ‘My soul is deeply grieved to the point of death; remain here and keep watch.’ And He went a little beyond them, and fell to the ground and began to pray that if it were possible, the hour might pass Him by. And He was saying, ‘Abba! Father! All things are possible for You; remove this cup from Me; yet not what I will, but what You will’” ~ Mark 14:34-36. Jesus went through many a trial and testing, being tempted in all ways as we are, yet without sin; for, despite the struggle that might come to His flesh, He kept God and His purposes of first priority in every choice He made. Though He agonized over the hardship He was to undertake, He chose death over disobedience to God and failure to fulfill His good will and way for the completion of all things God desired to accomplish through Christ. And He tells us, “If anyone wishes to come after Me, he must deny himself, and take up his cross daily and follow Me” (Luke 9:23). Jesus sat the example then called us to do the same. He tells us that He came in the Name of the One True God, as representing Him and His interests, and He calls us to be His ambassadors, following His example in being the people of God, called by His Name. Jesus, our example in leadership, also taught us to pray to the Father in the name of the Son, Jesus, as representing Christ’ priorities and purposes in furthering His ministry in the earth. To accomplish living, breathing and praying in His Name, we, too, must be people of purpose, having the heart desire of Father God as our compass for life’s choices. “a chosen race, a royal priesthood, a holy nation, a people for God’s own possession, so that you may proclaim the excellencies of Him who has called you out of darkness into His marvelous light; for you once were not a people, but now you are the people of God; you had not received mercy, but now you have received mercy. Beloved, I urge you as aliens and strangers to abstain from fleshly lusts which wage war against the soul. Keep your behavior excellent among the Gentiles, so that in the thing in which they slander you as evildoers, they may because of your good deeds, as they observe them, glorify God in the day of visitation” ~ vs. 9-12. 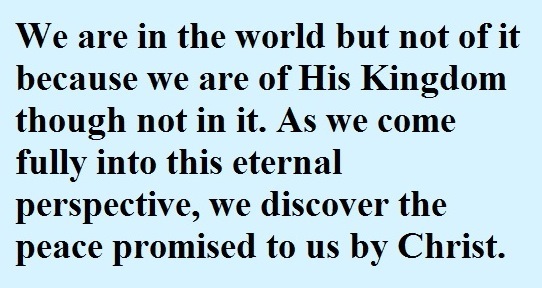 As royal priests, we are representatives of God and His interests in the world. The more we know Him, the better our understanding and comprehension of His nature will be. In knowing His nature, the better we will know His ways. And the better we know His ways, the more clearly stated will be our representation of Him, His glory, and His interests. This is what I believe was the problem for the people of God in Moses’ day: they refused the invitation to experience God for themselves, preferring instead for Moses to relate with Him on their behalf (Exodus 19:16-20:26). Failing to choose to know Him for themselves, they did not have relational experience of His presence to help them stand firm in His ways, and they wound up falling away from the Living God. God calls us to individual relationship with Him still today. And still today, the choice is our own to make, whether or not we will walk with Him. “Clothe yourselves therefore, as God’s own chosen ones – His own picked representatives, who are purified and holy and well-beloved by God Himself, by putting on behavior marked by tenderhearted pity and mercy, kind feeling, a lowly opinion of yourselves, gentle ways, and patience, which is tireless and long-suffering, and has the power to endure whatever comes, with good temper. Be gentle and forbearing with one another and, if one has a difference, a grievance or complaint against another, readily pardoning each other; even as the Lord has freely forgiven you, so must you also forgive. And above all these put on love and enfold yourselves with this bond of perfectness which binds everything together completely in ideal harmony. And let the peace – soul harmony which comes from Christ rule and act as umpire continually in your hearts, deciding and settling with finality all questions that arise in your minds, in that peaceful state to which as members of Christ’s one body you were also called to live. And be thankful, giving praise to God always. Let the word spoken by Christ have its home in your hearts and minds, and let it dwell in you in all its richness, as you teach and admonish and train one another in all insight and intelligence and wisdom in spiritual things, and as you sing psalms and hymns and spiritual songs, making melody to God with His grace in your hearts. And whatever you do – no matter what it is in word or deed, do everything in the name of the Lord Jesus and in dependence upon His Person, giving praise to God the Father through Him” ~ vs. 12-17, AMP. This is our calling and equipping, beloved, as true representatives in Christ, fulfilling the purpose and bringing to completion the interests of Father in the earth. But this is only a beginning of our knowledge. For more clear understanding, each individual of us must seek to know Him for ourselves; and one main place He is found is in the pages of His Word. Learn it so as to have it dwelling within so that you may live it. Father, as Jesus represented Your very nature, so are we to follow His example. You not only call us to be Your representatives in this life, but You equip us for it, filling us to the full with all that You are: love, joy, peace, patience, kindness, goodness, faithfulness, gentleness, self-control, and more. We are fully supplied to shine Your nature to the world so that they may know You and so they may know Your ways. Grant us to walk by the Spirit so that we will not carry out the deeds of the flesh. In Jesus, glorify Yourself in our very nature. Amen. All scripture is in New American Standard Bible (NASB) unless otherwise stated. “…for I know their intent which they are developing today…” ~ Deuteronomy 31:21. King-Daddy-God knows the intent of the heart of mankind even before that man realizes the path he is heading for in his ungodly thoughts. It is like being on a diet instead of a live-it plan. A live-it plan comes to one with a heart for true change, to be transformed to no longer walk in or desire the old, but to make the very person they are into the new they are possessing, making the new way to be how they live from now to eternity. We go on a diet so we can lose weight, and often without our even realizing it, our intent is to return to our old ways of eating and our sedentary lifestyle once we get what we want. Too often we treat our relationship with God that way. “I will stay the course of righteousness until I get my desire, or until it gets too hard to follow,” failing to realize that the word “until” in our vocabulary sets our hearts with intent to return to our own way. That is what God saw in the children of His heart’s desire. So He warned Moses in order for him to prepare Joshua and those who lead with him to lead the people with determined purpose that would require of them much strength of character and courage to stand firm and stay the course despite the leanings of those they lead. So what does that have to do with us today, Beloved? We are in the midst of a nation of people who are walking their own way, and that diet is alive even in the body of the followers of Christ. Our call as the people of God is to live-IT, and to do so with the intent of bringing others back to live-IT with us, in sincerity of heart toward God and with committed purpose. “Then He (the Lord) commissioned Joshua the son of Nun, and said, ‘Be strong and courageous, for you shall bring the sons of Israel into the land which I swore to them, and I will be with you’” ~ Deuteronomy 31:23, (authors note). Just as God personally charged Joshua with individual responsibility to lead the people in the ways of God, trusting His Presence with him, thus He is commissioning me today to be careful how I live so that I am strong and courageous to show the way of true and eternal life to those around me. And just as God later has Moses call together the others charged with leading alongside Joshua, in order to extend the commissioning to them, thus God has me writing to you today. If this teaching resonates with your spiritual heart toward God, be careful to know, Beloved, that you too are given charge this day to live-IT, despite the cost to you personally, with strength and courage so that Father may use you to lead many to follow Him into eternity. I am a member of SparkPeople.com, and leader of a couple of teams. One of those is one for which I just accepted the position of co-leadership during the absence of the main leader who is in a difficult season of life. Unlike my other team, which is a Christian team, this team has people from all walks of life in it. Because of a bad experience of the past, when I was just being who I am in Christ and hit a wall of persecution and rejection where I was told to “stop mentioning God or leave,” this morning I found myself praying how I should “speak” when responding to those I do not know, but can tell they probably do not know my God. My concern was to not be so strongly me, a seeker of Jesus through prayer for all people, in love with the Triune and with those I minister to and walk alongside, that I inadvertently push them away. God convicted me in that moment to have the courage to be who I am in Him, and leave their response to Him. It is, after all, Him they are truly rejecting. This is the call of this day. We are in a day when we hesitate to show our Christian colors for fear of rejection and persecution. But we cannot be one thing in the midst of the people of God, act like the people of the world when in their midst or cow down for fear of them knowing who we are in Him – thus leaving them to conclude that we are just as they are, and fulfill this call to lead others to possess the land of promise. Our day is strategic in a world of chaos. We do not have time for a diet lifestyle. God is not calling us to necessarily break any laws against proselytizing, but He is calling us to be His people, living His will and way where we are, without fear of the rejection and persecution that will come from those who reject Him. Those who see in us something they desire to have will ask us where we got it and how they too may possess it. We do not have to be pushy in our desire for others to follow Christ. We can love all people as they are with hope of being a light that draws them to find Him without forcing our way on them. It will take strength of character to shine for Him, and courage of heart to do so in the society in which we live today. On this subject, there is one other thing God is speaking to me that is vital as we seek to live-IT for His glory and the good of those we hope to help to find righteous paths and peaceful pastures. But this part is long, and thought two will also take some words to express it fully, so we will continue tomorrow. I read a devotional thought by Joyce Meyer yesterday that spurred concern for the people of God who might read it without understanding. Now I have sat under Joyce’s teaching for many years and I know her heart was on target, but for someone who may not know the Lord well or be one who will look at the scripture for themselves, this particular devotional fell short of where it needed to be, as I see it. I agree 100% that joy is vital to us, as vital as unconditional love and peace that passes understanding, both of which come from God alone. We will struggle to make it in this life without these: peace, love and joy. But it is not joy that is our strength, it is the joy of the Lord that is our strength. “Then he said to them, ‘Go, eat of the fat, drink of the sweet, and send portions to him who has nothing prepared; for this day is holy to our Lord. Do not be grieved, for the joy of the Lord is your strength’” ~ Nehemiah 8:10. There are many things that can bring us joy: people, relationships, sporting events, hobbies, books, movies, etc. But each of these can also let us down and bring us to much grief. We can feel stronger at the time we are enjoying these, but when some grief comes along, the joy is robbed and strength is gone. The joy of the Lord transcends all other joy we may have. There are two things I know about the joy of the Lord that makes this a joy beyond understanding and comprehension, just like the peace Jesus leaves us and the love that God is. This joy finds its supply in the very storehouse of God. It is not dependent on anyone or anything but God who freely gives it; therefore no heartache on earth can rob us of it. This joy is not even dependent on my emotional state or my ability to possess it. It is found and received when God is our delight, bringing us to seek after and trust Him first and foremost. Rejoicing in the Lord comes from knowledge of Him that brings us to trust Him despite the trouble that comes our way in this life. Rejoicing in the Lord comes from the knowledge of His presence that is always with us and for us, and will never leave us or be taken away from us. Rejoicing in the Lord comes when we trust His hand knowing that despite the fires of testing that often come, He has a good plan for us and He is working all things for the good of those who truly love Him and are called by His name, as a bride takes the name of the Bridegroom. There is a teaching in the religious right today that does promote joy in itself as strength. It has people feigning rejoicing in hope of gaining a little strength, then feeling let down by God when the strength they find is fleeting. The only true joy that will be with us despite any grief and will strengthen us is the joy of the Lord, fully focused on and supplied by a close, trusting, loving relationship with Him that transcends to overcome the world. “Love is patient and kind. Love is not jealous or boastful or proud or rude. It does not demand its own way. It is not irritable, and it keeps no record of being wronged” ~ 1 Corinthians 13:4-5, NLT. As I read it this morning, I see the movie “Sleeping with the Enemy” in these words of instruction. You see, God does love us fully, and He is only jealous when we take other gods in His place. For example, God does not mind that I really love and cater to my husband, because He knows my heart has Him in first place even as I love on my man. In fact, it is my love for God that thoroughly equips me to love my man in right ways. But when Father slips to second place in my affections and loyalty, that is what leads to Him becoming jealous over me. I have given myself to Him as my First Love. I belong to Him even before my husband. And He has every right to be jealous when I take that part of me that is His alone and I give it to another. The jealousy spoken of in 1 Corinthians 13 is not a righteous jealousy, like when God is jealous. It is unreasonable. That type of jealousy says, “If you even look at another, though you are innocent in intent, I will lash out at you with jealous fervor.” This jealousy refuses to trust the love of another. It is suspicious, accusing, and vicious. It has nothing to do with truth or true love, and everything to do with unrighteous possessiveness that too often and easily seeks to rule over the object of its wrath, demanding to be as a god in their lives. It is unreasonable and only truly giving of love to self as it either demands its own way at the expense of the need of the other, or it holds oneself back from the other out of false perceptions that breed insecurity in the relationship. Unrighteous jealousy can lash out in obvious ways, like the enemy Julia Roberts’ character found herself sleeping with, or it can be more subtle, like so many of us who are sneaky in our ire. 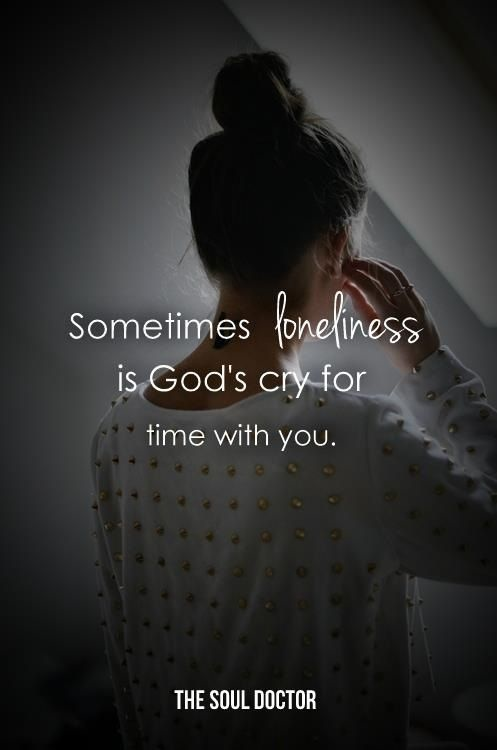 Joyce Meyer often tells of when she was jealous of the time her husband spent enjoying sports, how she would decide to vacuum the floor in the room where he was trying to watch a game. We can be sneaky in our jealous tempers, but it is as evil toward the one we profess to love as when those who are overtly jealous beat their mate for their perceived offence, because jealousy of this type breeds discord, hardship, bitterness and anger. Do I have a right to be jealous if my husband enters into a bad relationship with another woman, or even with an overboard focus on sporting events that rob me of him? You bet I do. We have a license that makes us exclusive as a couple both with God and with man, and we each have right to the others time and attention. There are certain ways in which he is mine alone, and I alone have right to him in those areas of life. There has been a time when I had to warn him that I could tell that another woman was after him, and he was shocked when he discovered it was true. Forewarned was forearmed and he stood faithful. Instead of the other woman’s obvious attraction to my man making me jealous in harmful ways, I knew my rights and was used of God to prepare my mate for the challenge by simply mentioning that she was enamored with him and he needed to be on the alert. I did not badger him or make demands of him. I simply warned him. He was honestly shocked and could not believe it, but when her advances took a clear turn, he was ready with the right response. My husband went from working mostly with men to a job where he is working with a lot of women and there have been times when I had to deal with the green-eyed monster within; but there have also been times when the jealousy I felt had a righteous seed to it. When he started this job he worked with a very friendly, fun loving man, who was very flirtatious toward women. On one occasion I observed my husband seemingly to fall into that flirtatious fun. Yes, I had to fight off a little jealousy there, and with the Lord’s help, when we were alone, I gently told him that his joking around with them came off to me as flirting. I told him those single women are in the market and that they could well perceive the “fun” as flirting, just as I did, and think he is available, which could end in temptation for him. My husband had an obvious Tim-the-tool-man, aha moment that changed the way he behaves. Jealousy can be a warning that leads us to realize and take action in protecting our rights, or it can be an ungodly emotion that leads us to behave in ways we have no right to. This emotion we often deal with requires the Spirit of God to instruct us in realizing which jealousy we are in and how to properly address the issue at hand. One, jealousy can be a righteous right, but often is unrighteous and destructive when we fail to get God’s heart on the issue. It is important that we discern the difference and follow God’s example and the Spirit’s lead so we give true love to those around us. And two, scripture can appear to contradict itself, thus we need the Rabbi-Spirit to instruct our hearts so we know the truth that sets free indeed and realize the continuity of God’s teachings. God has truly been impressing upon my heart the absolute necessity in this time of life that I understand and comprehend that I am one with the Father in the power of His Spirit through the gift of Christ. We are one with Him and with each other just as Jesus was one with Him when He walked the earth. Heaven is not my / our future. It is our now reality because God is heaven and He places heaven within us. We are here and now one with Him in His Kingdom reality. But our life situations and circumstances in the flesh overpower our comprehension of this and keep us from experiencing this unity and the Kingdom life we have right now. No matter the situation we face, instead of focusing on it, I sense strongly that having unity with the Father and living Kingdom purpose now requires us to face every situation with realization that the main goal is God: to find Him there, to learn of Him, and to come into unity with Him in that situation. Here am I, Father. I long to know You better and live Your will and way more fully through the situations and circumstances of life. Whatever challenge comes my way, help me to look for You and what You would have me learn of Your ways through the experience. You waste nothing. Help me to reap the full benefit so whatever struggle there is produces the lasting, Kingdom fruit of becoming vitally united with You. In Jesus, amen. Yesterday we discovered that through Christ we are lifted from the position of dust, to that of sons and daughters. We saw that we are exalted through Christ from created beings made a little lower than the angels, fallen to the position of a dust particle, and raised to be co-equals as the children of God with the sons of God in the angelic forces. All of God’s children glorify Him, live for His purposes, and stand with Him in battle. This is who we are. One thing I have noticed in the earthly realm, which mimics the heavenly, in the royal family, there are children of the kings of nations, princes and princesses, but not all are eligible for positions on the throne of the kingdom. This fact is the distinction we will see today that exalts our positions and establishes the next step in understanding who we are in Christ that makes a distinction between us and the angels, who also are sons of God. “Let us rejoice and be glad and give the glory to Him, for the marriage of the Lamb has come and His bride has made herself ready” ~ Revelation 19:7. As the Bride of Christ we are united with Him as one flesh. We complete one another. We can do nothing apart from Him. And He chooses to use us as a suitable helper in his ministry of reconciliation and the work of His Kingdom. He is King of kings. As His bride, what does that make us? The Kingdom of God is shown throughout scripture to be established as a hierarchy. Jesus, as reward for His sacrifice for the Kingdom of God in fulfilling the purpose of God for the redemption of God’s creation, was raised up with God and seated with Him as the crowned King of the kingdom. Thus we, as the people of God’s fold, lifted through Christ to the position of the children of God, chosen by God to be the Bride of Christ, are once more lifted up to a position of royalty in the hierarchy of the Kingdom of God. As I think on that, it brings new meaning to me as to the title of Christ who is King of kings. As one who is ever mindful that I am the creation of God, a sheep in His fold, it is difficult to realize my royal blood in Christ and say that we are kings and queens under King Jesus, but that is the picture we are given. And it lifts us a little bit higher in the hierarchy of the Kingdom, a little higher than the angels. Jehovah is God the Father. There are none higher than He. Jesus is God-Son the King. He submits to none but the Father. Holy Spirit is the power of God that binds all together and empowers the completion of all things. He submits to Father and Son. And by the power and seal of the Spirit, we are sons and daughters of God the Father, united as one with the Son and King, Bride of the King of kings and seated with Him in the heavenly realm. We submit to Father, Son and Holy Spirit. The seal of God is placed upon us and within us, and we are given authority through our position to fulfill Kingdom responsibilities. Now let me tell you, that does not raise up ungodly pride in me, but godly fear and reverence for the God of all creation who set these things in motion: raising mere dust to a position of royalty in the Kingdom of God! That realization makes me acutely aware of my responsibility to God, which we will address as we continue to look at who we are in Christ tomorrow. John the Baptist is imprisoned, probably being mistreated, ridiculed and scorned, and I am sure he realizes his time on earth is short. So, like most of us would do, he begins to wonder if his ministry was really what he thought it was. So he sends his most trusted disciples to Jesus to ask, “Are You truly Him?” How does Jesus answer? 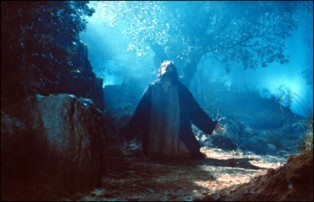 Jesus not only taught that the tree (or true believer) will be known by its fruit, whether it be good or evil, but when asked if He is HIM, He did not simply say “Yes, I AM”, He said “Tell him of the fruit you see that proves Me to be.” In so doing, Jesus assured the heart of John to believe he himself is who he was sent by God to be: the voice in the wilderness preparing the way for Messiah. Once they left, Jesus turned to the crowed and told them the fruit born through John that proved who he was, in essence saying, “In fact, he is Elijah, returned in flesh as promised.” In so doing, he removed the speculations of those who wondered if John was truly a prophet of God or what. Afterall, if he is God’s profit, wouldn’t God deliver him from the hands of his enemy? Then Jesus prayed to the Father, and what does He say? Essentially He says, “Father, no one else truly knows who I AM, but You know Me and I know You. So it doesn’t matter to Me what others may say about Me. My assurance is in You.” And why did He pray so? He was giving example to us, as was a large part of His purpose in the world. † The cooing of love for His betrothed child of God made sure to you who believe. † Growing our faith in Who He is. † Firming up what He knows to be your person and purpose. 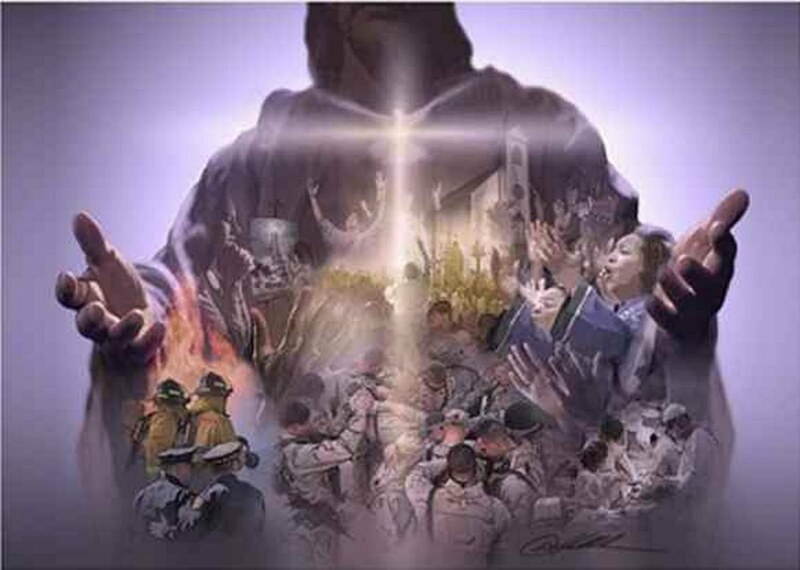 † Training in righteousness, restoring the image of God through Christ and in the power of His Spirit. † Strength and supply for success in accomplishing all God’s will in all God’s way. † Aid in time of need. † Unity from the heart. † Undeniably proof of being in the eternal Kingdom now and forevermore. Beloved, if no one recognizes the work of God born into the world through you, like Jesus you may take courage in knowing that the Father knows you and you know Him, and He is faithful to assure our hearts. And when life is so difficult you begin to wonder, “Lord, are you truly Him and am I truly Yours,” He has a yoke that is light and easy to bear, where you can stand hand in hand with Christ, finding assurance and supply along with rest for your weariness. Come, beloved. Yoke with Christ today, receiving assurance of who He truly is, and the beauty of who you are in Him.